Meet Dana Falsetti–the woman who discovered her own strengths through yoga and is spreading the message worldwide through her platforms! Yoga. A lot of images come to mind when I hear the word. For a lot of curvy girls out there, the word yoga might give way to feelings of insecurity and intimidation. We’ve heard the countless horror stories all over the internet about people of size feeling out of place when attempting to give yoga a try. 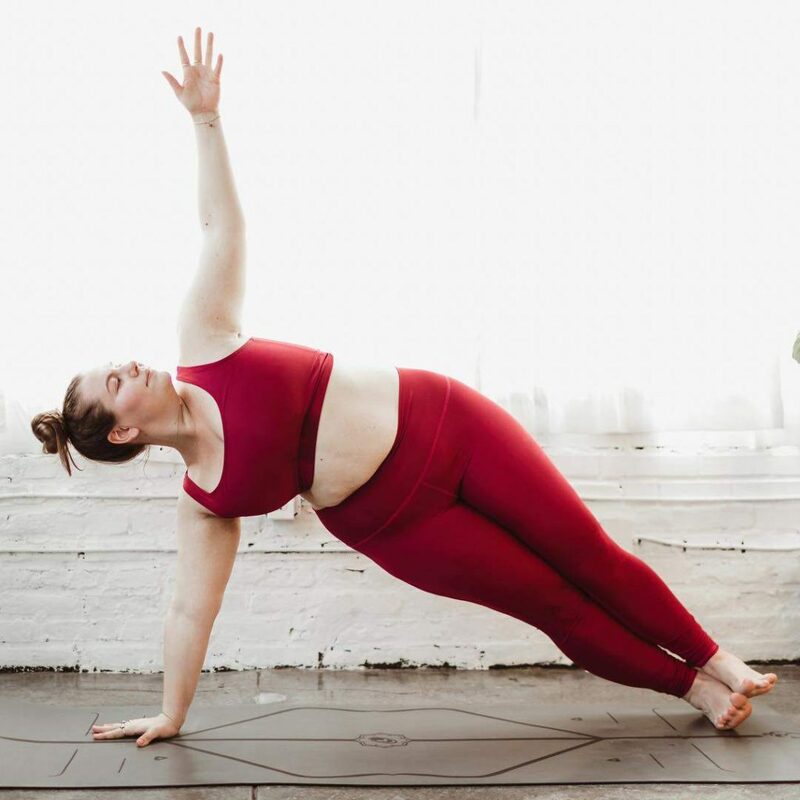 Fortunately, there are plus size yoga practitioners making their presence known online and in social media, and as more classes that are size inclusive become available, more and more about embracing the benefits of the practice. One such person is Dana Falsetti. She is encouraging women of size to be fearless, love themselves radically, and toss the notions of a toxic diet culture where they belong – in the trashcan! Do You Know Curvy Yogi Dana Falsetti? Dana’s story of her introduction to yoga is much like the stories many curvy girls have to share, myself included. The yoga studios she attended weren’t exactly jumping up and down to welcome her. Many were stubbornly unwilling to embrace the notion of being inclusive to larger, less-abled bodies. What’s more, they would be ignorant how to teach them. They were also unwilling to believe that it was possible to even learn how. For many, their story would have ended there. But not Dana. Rather than turning away, Dana dug her heels in and demanded a place on the proverbial yoga mat. She forged ahead in her exploration of yoga and ended up developing her own practice to better suit her frame. It was then she began to share anecdotes of her personal journey to yoga on social media. Her words resonated with countless people, who then naturally turned to Dana for support and inspiration. 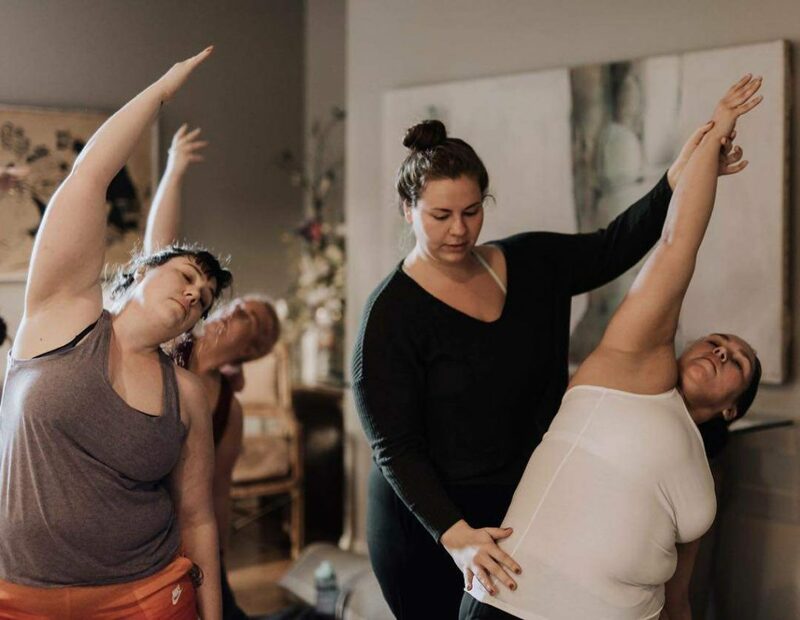 Becoming a yoga teacher wasn’t what Dana intended on doing, but it was the lack of inclusion in yoga community that called her to the profession. Learning how to make the practice work for her and her own body gave Dana such an immense feeling of empowerment that she wanted to “Pay it Forward” and share that knowledge with others. She wanted to create a community that serviced everyone, regardless of their size, gender, body, shape or color. Be you all the way and be boldly bright about it because why shouldn’t you be? No worries if you fall, no worries if you look silly. There is no need to be afraid of failure. You are living. After years and years of allowing low confidence to dictate her opportunities, Dana Falsetti had finally found her true calling. To think, it all started with her finding the strength and power within to be fearless enough to simply try. Now with a social media following of more than half a million people, she is creating a community of people united in their desire to empower themselves through the practice of yoga. Dana’s reach has recently extended ever wider. Recently, she announced the release of her new pay-what-you-can accessible video subscription platform — aiming to make yoga accessible to anyone with an internet connection. In addition, Dana is presently in the midst of her first season of her successful podcast, Deep Dive with Dana Falsetti. Touching on topics like sexuality, insecurities, representation and loads more, the podcast already has a five star rating on iTunes and continues to gain popularity. Dana Falsetti is a woman who has found her mojo. She’s doing so much more than teaching yoga. For one, she is making great strides to normalize the diversity of the human condition. Because it is the diversity of humanity that makes us so special, don’t you think? I know I do! This is exactly why I believe you oughta know Dana Falsetti!!! Have you heard of Dana Falsetti before? She’s one you definitely ought to know! I really live yoga! It’s intense, but it really puts you in a different space physically and mentally. The spaces I have been in have been plus friendly and those attending were all welcoming or kept to themselves! Yoga is for every body and it’s such a great experience.